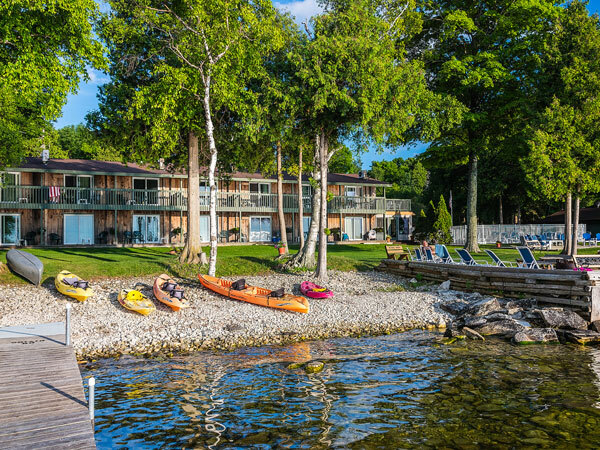 Our waterfront lodging accommodations are all located at The Shallows Resort along 400 feet of pristine Green Bay Shoreline. 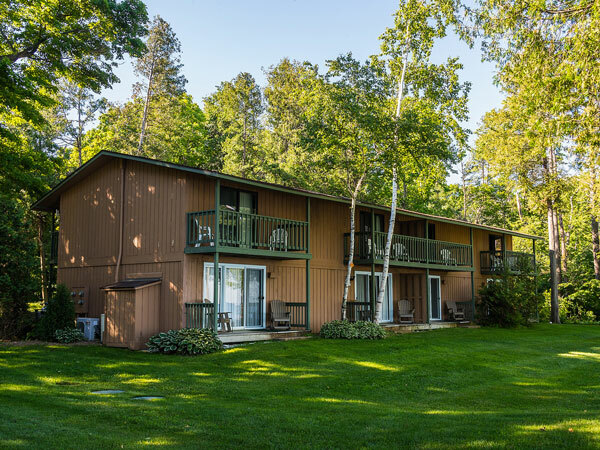 Guests staying at the resort are just steps away from the heated pool, hot tub, tennis court, picnic area, swing set, private shore and dock, and more! The Shallows Resort also offers complimentary use of resort bicycles, canoes, and kayaks. 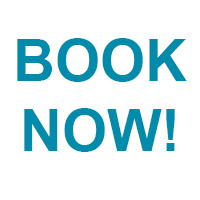 Enjoy all the amenities of The Shallows Resort just steps from your door. Choose from one of our Shoreside Rooms looking out on the resort’s 400 feet of Green Bay shoreline or opt for one of the Woodview Rooms with a serene view of the lush tree line. 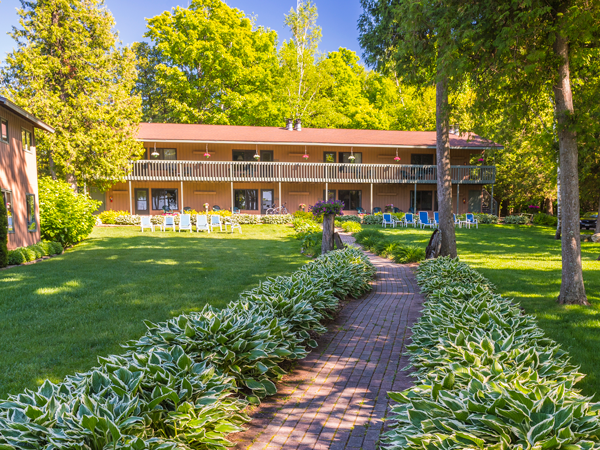 Set back just 150 feet from the shoreline, the Gatehouse offers all the advantages of a beachfront cottage, with extra room to roam. Deluxe, updated suites offer a view of Green Bay and space for four guests. These four exclusive waterfront townhouses rest along the Shallows’ shoreline. Featuring two bedrooms, a living room, large kitchen, and two full baths, each townhouse comfortably sleeps six. 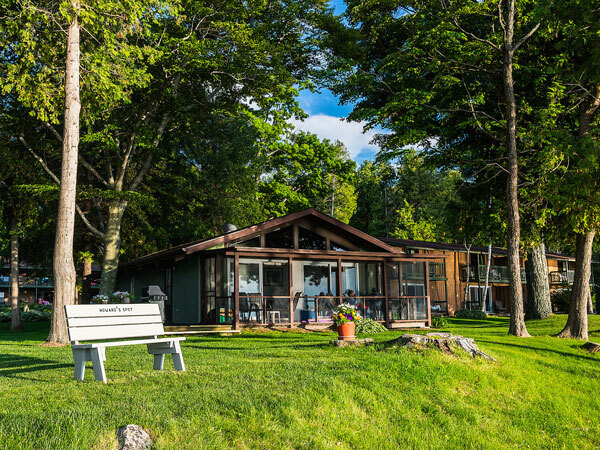 Situated only 50 feet from the shores of Horseshoe Bay, the Shallows Cottage offers quiet seclusion just steps away from the resort’s many onsite amenities. With three bedrooms and two baths, the cottage comfortably sleeps six people.